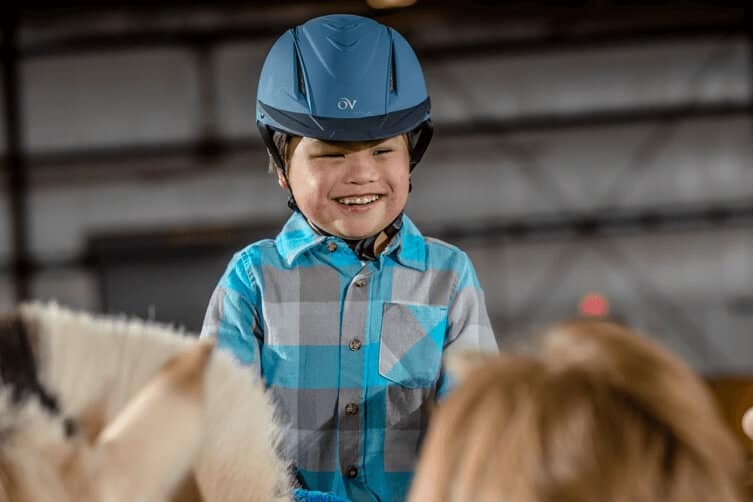 Central Kentucky Riding for Hope is dedicated to enriching the community by improving the quality of life and the health of children and adults with special physical, cognitive, emotional and social needs through therapeutic activities with the horse. 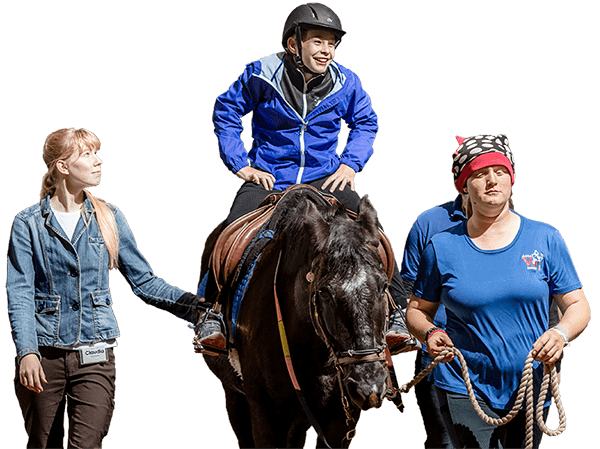 Community support and gifts allow CKRH to provide life-changing programs for people of all ages through the healing power of the horse. 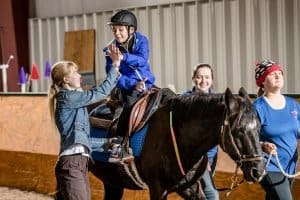 Your generous donation will go directly to helping our programs and horses enrich the community and quality of life of the children and adults with special physical, cognitive, emotional and social needs through therapeutic activities with the horse - any donation is greatly appreciated. 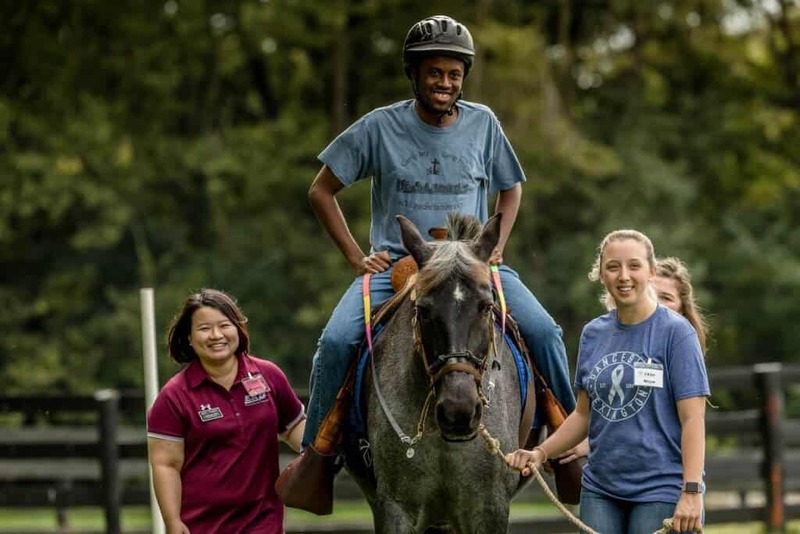 Make a difference by volunteering for Central Kentucky Riding for Hope. We have several different volunteer opportunities that can fit into anyone’s busy schedule – you don’t have to change your life to make a difference! 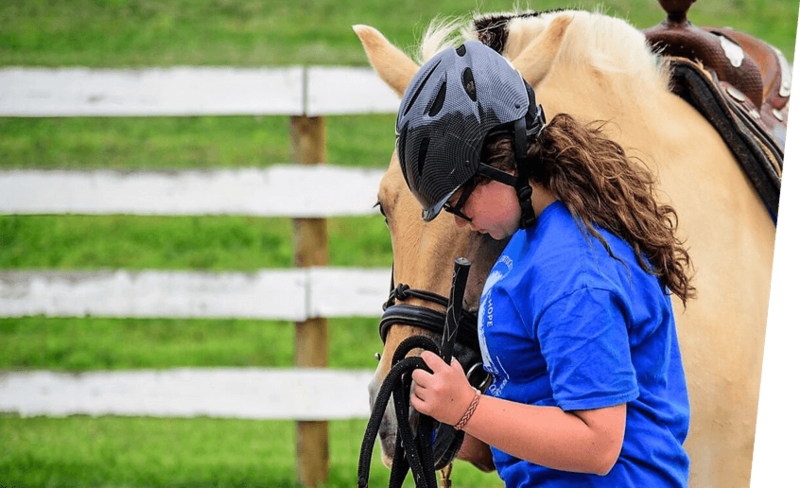 Emma Grace is a 3-year-old who began Therapeutic Riding at Central Kentucky Riding for Hope in August 2016. 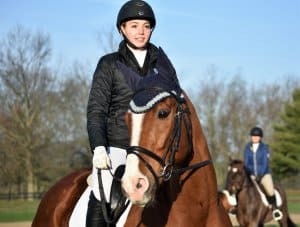 Her inspiring story is one of the many successes that help make CKRH the riding program it is today. She arrived quiet and clinging to her baby doll and mother’s leg. 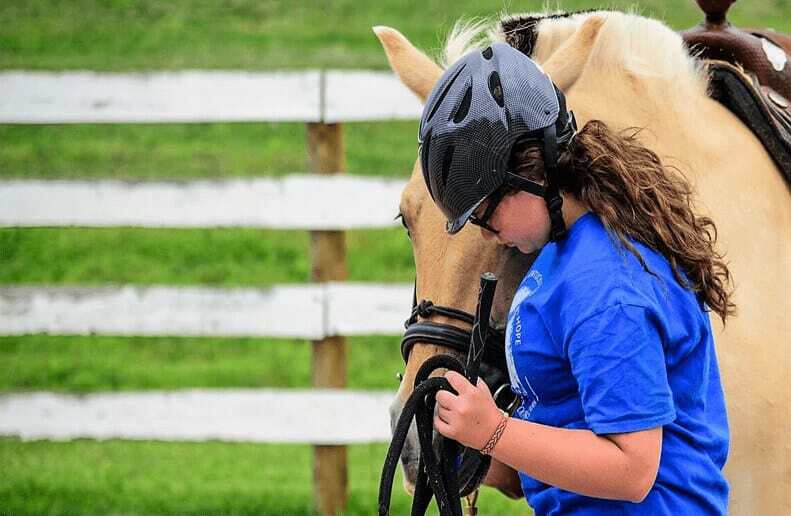 Through her therapeutic time and lessons with the horses, she found confidence and her voice. Emma Grace is a 3-year-old who began Therapeutic Riding at CKRH in August 2016. She arrived clutching a baby doll for security and clinging to her mother’s leg. She only left her mother’s side once we promised she could ride with her doll tucked under the saddle’s pommel. Still, Emma Grace would not hold the reins or speak to anyone. Her behavior was not uncommon for children in her situation. 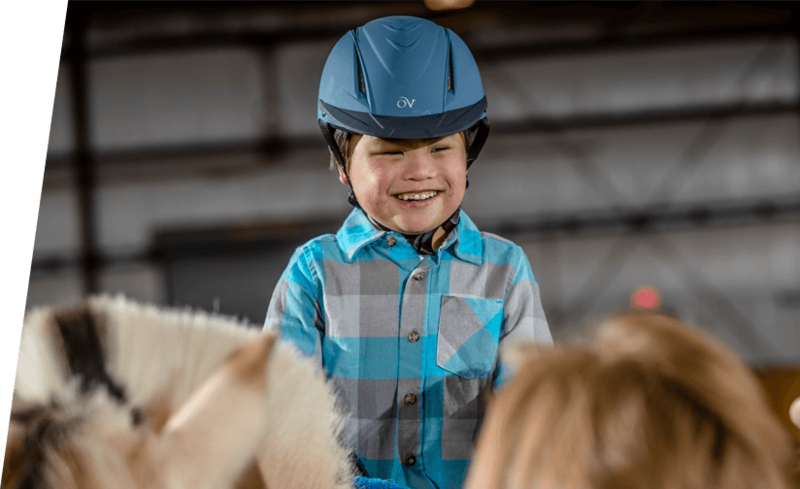 Emma Grace has multiple diagnoses of Ataxia, a lack of muscle control during voluntary movements such as talking and walking; Hypotonia, decreased muscle tone; and Estrotopia, a condition when one or both eyes turn inward. 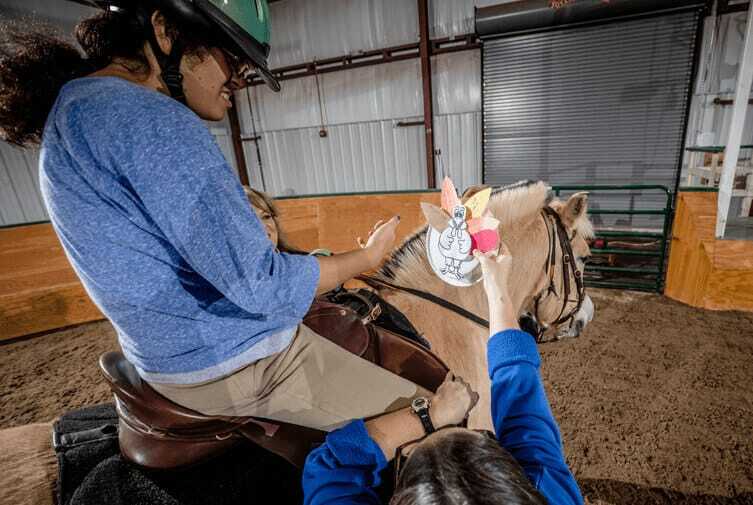 A plan was developed to incorporate stretching and balance exercises into her Therapeutic Riding in order to strengthen her core. 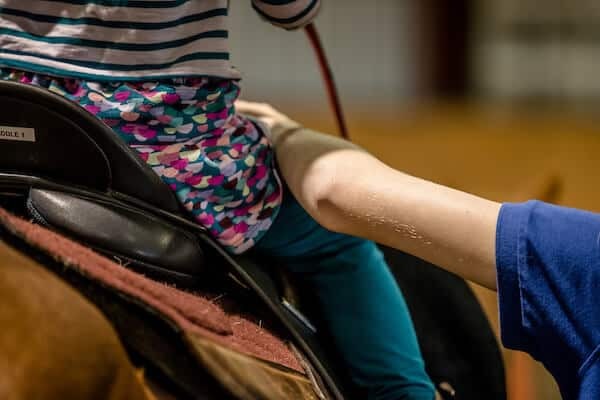 Gradually, she became strong enough to add leg strengthening exercises including standing in her stirrups at a walk and posting, or rising and sitting with the motion of the horse. Through this process, Emma Grace found her voice. She is now confident enough to leave her doll with her mother. 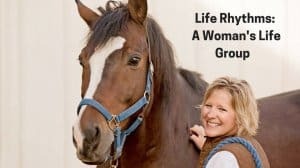 She holds the reins and gives her horse loud and confident verbal cues while chatting constantly with the volunteers walking beside her and leading her horse. Best of all, Emma Grace arrives at CKRH each week excited to be here and begin her lesson.